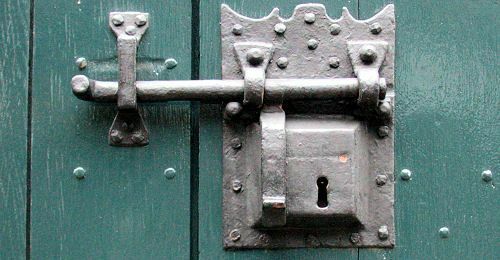 How to Secure Your WordPress Website - The Basics and Plugins to use. In my book review WordPress 3 for Business Bloggers I told you that I missed one piece of content, which was options to secure your WordPress website, and that I would give you some tips on how to secure your WordPress website. WordPress is a very popular Content Management System and as such is always under attack by hackers and crackers. Most of the hack attempts are not focused on WordPress core security holes but rather plugin or theme security weaknesses. After installation use the permalinks option to create a .htaccess file in the root of your website. if possible move your wp-config.php file one folder up and set the security to 400 or 600 if your hosting (aff) company won’t allow 400. WordPress Firewall 2 monitors web request to your website and blocks obvious attacks. File Monitor Plus this plugin will send you an email if a file has changed on your website and which file(s) are changed. WP Security Scan will let you know if you already are under attack and will give you extra tips and aids to block some standard attacks. Login Lockdown looks at login attempts that fail from a certain IP address and shuts down login functionality for a certain amount of time for that address preventing further brute force attacks. All of the above measures have helped me to secure my WordPress websites from attacks on several occasions. I also got a chance to read WordPress 3 Cookbook, a fun concept that gives you “recipes” that you can use on your own WordPress website. And yes this one has a chapter on security :-) but the rest of the book is also a very good read and gives you over 100 short practical articles that you can use. You can’t even run a spellcheck on your content and you expect people to take you seriously? Oh, and you should run down to the office supply store and buy a box of commas, then learn how to use them. Wait – commas are free! I guess you just need to learn how to use them! @Bill, thank your for pointing out some of my errors and yes I do need to improve on my English writing (I am Dutch). I recently came in contact with a good editorial reviewer, who I plan to hire to clean up the site and reduce the errors. I know those errors come from my lack of English Grammar and punctuation knowledge. Hopefully the content provided on this site will make up for these errors. Bill: Perhaps you should refine your own sentence structure and semantics before you waste time posting criticism. Perhaps also you might learn that spell check is spelled properly by writing it in two words. Perhaps you need to wash your windows in your glass house. Thank you Herbert-Jan for your post. @Irri: In Bill’s defense, there where some pretty horrible errors in this post before, so his comments were valid, the post was edited afterwards.